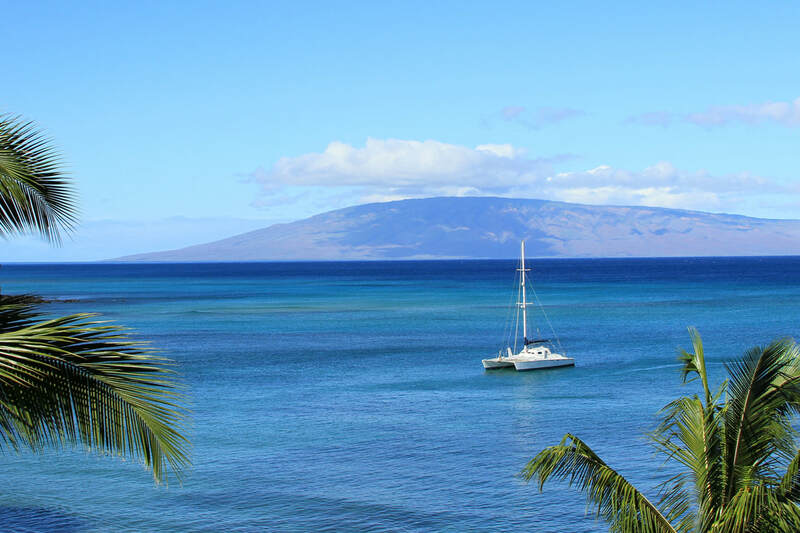 Expansive ocean views from this loft style 2nd floor condo in Honokowai. Updated and personalized with new decorator items and small appliances. Watch DVD's or the visitors channel on the 32 inch plasma TV or be entertained in the evenings sipping a Mai Tai and listening to Hawaiian music on the CD player provided. The living area has a tiled floor and bedrooms with carpet. Stairs take you to the to the loft master bedroom which has queen size bed and private bathroom. The downstairs bedroom, which has a unit air conditioner, is private and has a queen bed as well. There are stairs to this 2nd floor entrance, no elevators. Ocean views and an updated kitchen & bath in Honokowai. Bring your music and play on the I-pod dock in living room or use the DVD player which will play your CD's. Bring your laptop or iPad and enjoy the free Wi-Fi signal in the condo. Stay cool with the unit air conditioner in the bedroom. This location is on the 3rd floor with stairs only, no elevators. Two Guests Maximum Occupancy. Cleaning fee applies to this condo rental. Free Parking. This intimate condo has been described as a honeymoon haven. There is no one above you, and there are brick walls for added privacy. It’s a quiet resort with many of the units owner occupied or used as time share units by snowbirds. There is an A/C unit in the bedroom, but we rarely use it. We prefer the trade winds blowing and the sounds of surf at night. It doesn’t get any better! The unit comes tastefully decorated in Hawaiian style. The sofa bed makes into a queen, and there is a flat screen TV in the living room. All linen, beach towels and paper goods are supplied. There is a laundry facility on the grounds with large sized washers.